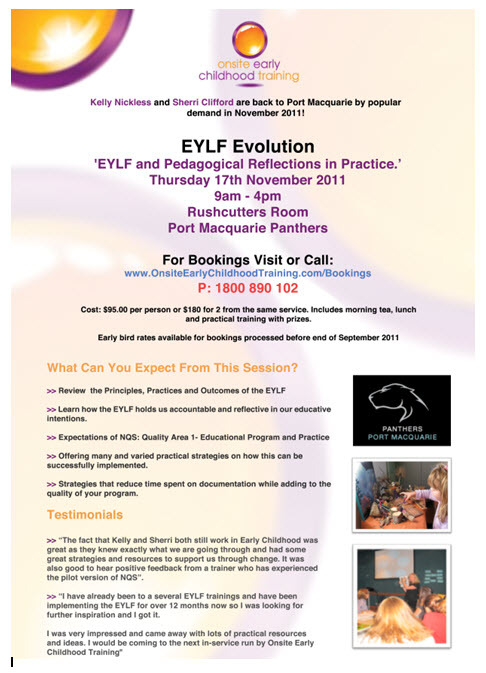 Book your EYLF Training Here! Please use the details below to register for the next training session. Registration: Please email kelly atÂ kelly@onsiteearlychildhoodtraining.comÂ Â with all details including name, phone number, email and organisation and numbers attending.